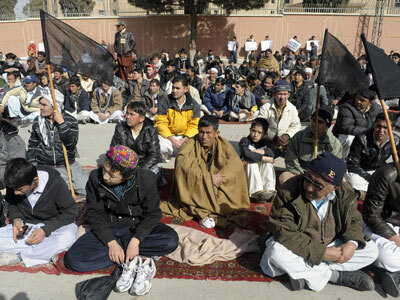 A team of Pakistani ministers and political leaders have reached a deal with protesters. The document provides for the dissolution of parliament and snap elections, RT’s correspondent in Islamabad reports. The negotiation team presented the draft to Prime Minister Raja Pervez Ashraf, who signed the accord. Official sources said that President Asif Ali Zardari also approved the agreement, Xinhua reports. RT's Tariq Muhiyuddin says the parliament will be dissolved before March 16 and elections will be held in 90 days, according to the deal. The General Election Commission is also expected to see changes. "We have reached an agreement," Muslim Cleric Muhammad Tahir-ul-Qadri told supporters camped out near parliament. "Allah granted us a victory and now you can go home." Qadri, along with his supporters, has been staging street protests in the capital for several days calling on the government to resign. On Thursday, Qadri and the goverment negotiators spent over four hours in talks. Emerging from the meeting, the cleric said an agreement had been reached and called it the 'Islamabad Long March Declaration'. He added that he would put a halt to the street protest in Islamabad. Once the document is signed by the PM, he will read it out at the main site of the protests, Jinnah Avenue. Qadri delivered his speech from the heated and bullet proof container where he had been holed-up since the political crisis began four days ago. His supporters, many of them women and children, cheered in the pouring rain. The deal may ease pressure on the ruling Pakistan’s People Party (PPP), which has come under fire for failing to tackle a range of problems gripping the country, including rampant corruption, a Taliban insurgency and a stagnant economy. 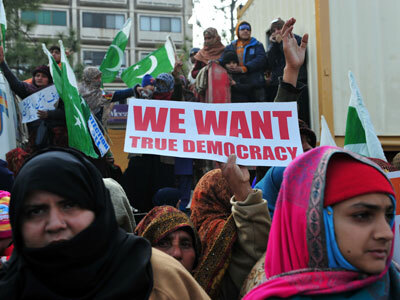 Thousands of Qadri supporters had been rallying in the Pakistani capital since Monday. The cleric calls for the removal of the government and denounces the politicians as corrupt thieves, accusing them of failing to fix severe energy and gas shortages. Qadri said he wanted the protest to continue until the government is dissolved and electoral reforms are introduced. In an exclusive interview with RT, Tahir-ul Qadri explained why he is calling for a revolution and what his aims are. “In Pakistan there is neither monarchical rule nor military dictatorship. There is electoral authoritarianism, electoral dictatorship. True democracy does not exist in this society, neither in the political field, nor in the social field nor in the economic field. No democracy. We have to get rid of corruption and corrupt leaders,” he said. He continued that eradication of corruption is crucial to the development of the entire Muslim world and all the third world. 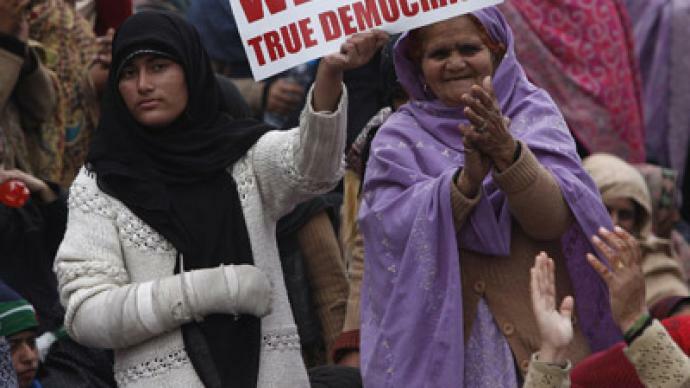 ­The 61-year-old cleric has received support from many of the opposition parties which have said they would oppose any unconstitutional or unlawful attempt to derail the democratic system. On the other hand, the leader of the main opposition party, the Pakistan Muslim League, has refused to back the protests. Information Minister, Qamar Zaman Kaira had pointed out that Qadri was demanding sweeping electoral changes when he himself as a Canadian citizen could not even vote. Quadri’s recent appearance on the Pakistani political scene has also fueled speculation that he has the tacit support of the army, which has a long involvement in Pakistani politics, although the military deny this. No civilian government has ever completed its full term in Pakistan, but the current army chief Ashfaq Kayani has vowed to keep the military, which has ruled Pakistan for more than half of its 65-year history, out of politics. Ahemed Quraishi, the president of the Paknatinalists Forum lobbying group told RT Qadri and his supporters have succeeded in sending out the message for change in Pakistan. “What we are basically seeing is that the democratic system of the country is in the throes of the final stages of collapse, collapse under the weight of its own corruption, collapse under the weight of its own incompetence, so it’s a major development and it’s important to realize that these demonstrations may not lead immediately to change or the immediate of the government its self”, he said.